Dungeon Rampage is a multiplayer dungeon dive inspired by games such as Gauntlet, Diablo, and Castle Crashers. The game was released in 2012 on multiple platforms, has had over 12 million players world wide, and has garnered critical and popular acclaim. 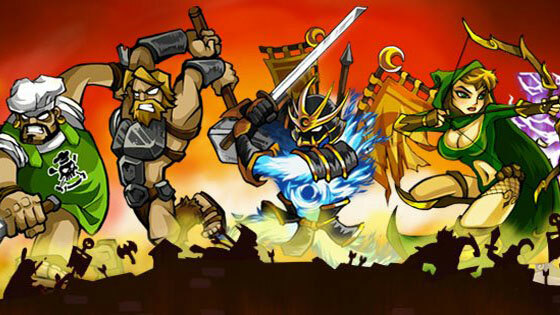 I served as product director, designer, and gameplay programmer on Dungeon Rampage from the original concept and prototypes through development, beta, launch, and live support. We developed the game client in our own Flash engine and built a custom C++ MMO server, using Maya to create 3D sprite sheets for all animated characters. This entry was tagged facebook, flash, MMO, RPG.